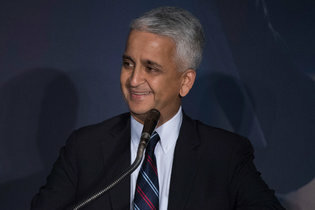 Sunil Gulati is the president of the United States Soccer Federation. More than a dozen members of the United States women’s national soccer team took part in hours of negotiating sessions with U.S. Soccer representatives over the weekend. It was a renewed — and potentially promising — push to complete a new collective bargaining agreement before many players scatter for the start of their league season in two weeks. The talks, which lasted nearly five hours on Saturday and at least six on Sunday, took place outside Dallas, where the national team is gathered for a training camp before two exhibition matches against Russia this week. At least 15 players sat in on large portions of the sessions, as indicated in a photograph posted on social media on Saturday by midfielder Allie Long. Others listened in by telephone, including defender Julie Johnston, who interrupted her honeymoon for several hours Saturday, according to a union spokeswoman familiar with the discussions.